Huawei, a global ICT solutions provider, has signed 22 commercial contracts for 5G, said the company’s executive director and president of Carrier BG Ryan Ding. Ding was delivering a keynote speech delivered at the Global Mobile Broadband Forum (MBBF) in London, UK. During his speech titled "5G is ON, Taking Mobile to New Horizons", Ding noted that 5G is ushering in a new era for ICT and has the potential to increase connection capabilities by ten-fold. 5G will bring unprecedented opportunities to the mobile industry. Release 15 – the first 5G specifications – focuses on enhanced mobile broadband (eMBB) and will encourage individual users to consume more data, because they can do more with their connections. 5G will provide high bandwidth for households and make WTTx connections the first choice for broadband. It will also enable new capabilities, including massive connections, superfast speeds, and ultra-low latency that will reshape business models and create enormous business value for carriers. 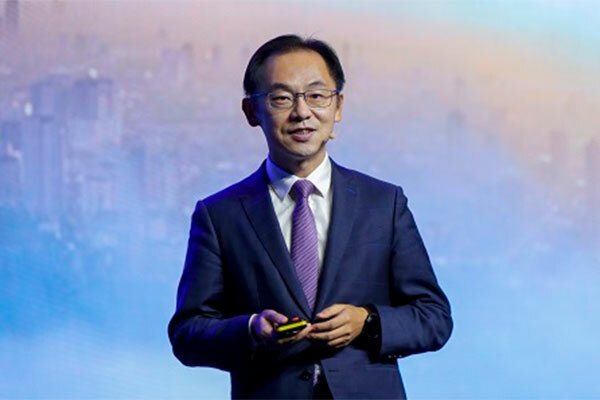 During his speech, Ding introduced Huawei's innovative solutions that can facilitate carriers' 5G commercial deployment. Huawei's highly compact Massive MIMO solution is the world's lightest and smallest AAU and is strong enough to perform reliably even during level-15 typhoons. Given that existing sites are very crowded, Huawei's 1+1 simplified antenna solution can keep sites clean and simple, and reduce rental costs for carriers. Huawei also provides an uplink and downlink decoupling solution that can achieve co-coverage of 4G and 5G C-band, delivering seamless coverage to users. Huawei's innovative 5G power solution and microwave solution help carriers build 5G faster and easier, with lower cost. Huawei is also using AI to help carriers simplify O&M and slash their OPEX.